Please read this diet over a couple of times it contains lots of information. And this diet must be followed EXACTLY for great results. See Disclaimer at the Bottom – Always Check with Your Doctor. I have had many people heal completely on my diet from diseases such as Rheumatoid Arthritis, Lupus, MS, Kidney Disease, Liver Disease, Gout, High Blood Pressure, Metabolic Syndrome, Cystic Acne, Coronary Artery Disease and Much More– It’s Up to You – You Can Do This! 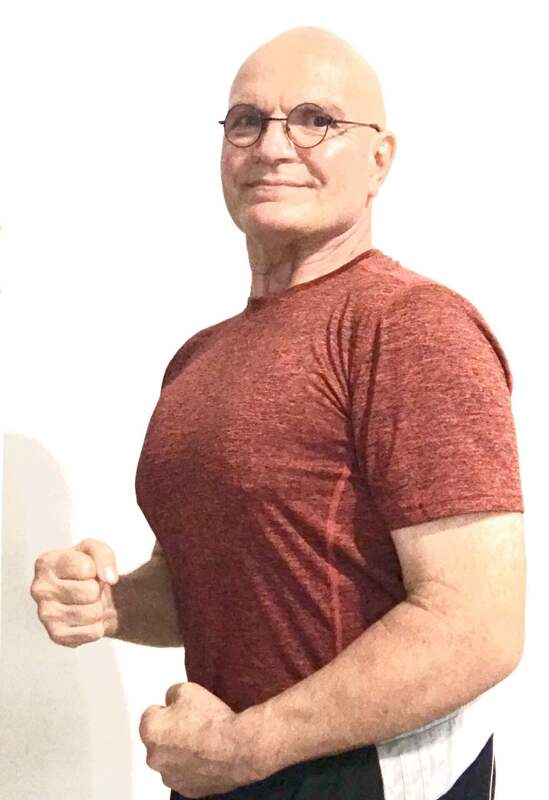 My diet and lifestyle is amazingly healing – I lost 40 lbs, my arthritis of 40 years disappeared, my kidney disease disappeared, my high blood pressure disappeared, my back pain of 40 years disappeared (I have 2 fused vertebrae and 3 totally collapsed disks in my back and I used to crawl from the bedroom to the car screaming in pain to go to the emergency room for a pain shot), and I no longer take any medications, I sleep like I baby now, I no longer have aches and pains of any kind, my prostate problems disappeared…this all happened in 3 weeks with no change in exercise, I have always exercised but it was not working for me… I was heavy. 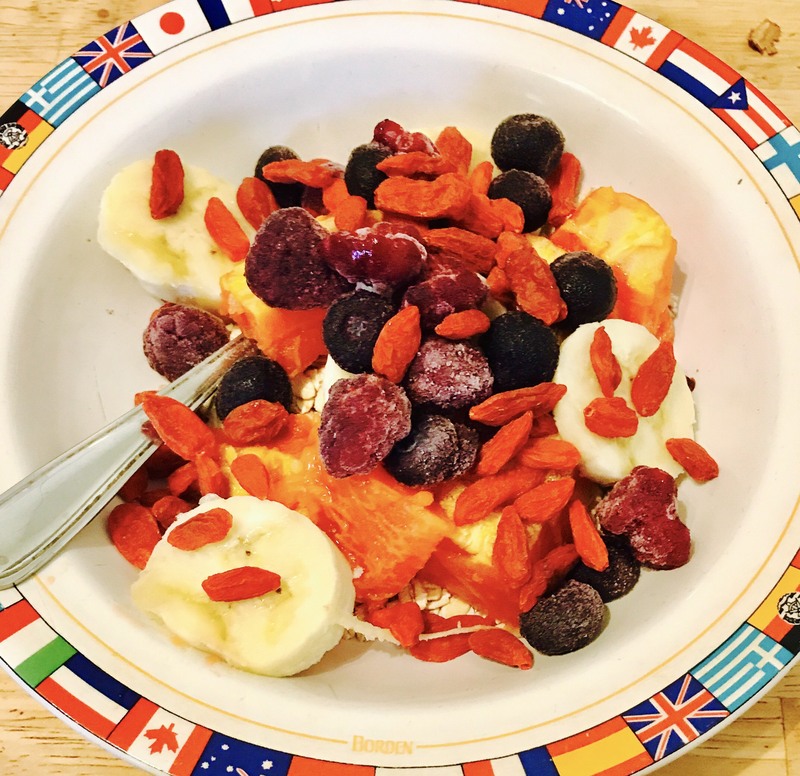 And as Dr. Gerson, Dean Ornish, Dr. Campbell, Dr. Davis, Dr. John Walker, and others have said in many ways… there is nothing the body can’t heal with the right food… and I believe that with all my heart and soul– I am living proof. I am 10 Years Later at 65 Years Old and Feeling like I am 20 – REALLY! This diet must be followed exactly to reap great benefit. Water – First of all you need to drink a lot of water – at least 8 to 10 glasses of water a day – I recommend at least 1/2 liter in the morning and 1/2 liter in the afternoon and more. – Drink Reverse Osmosis Water… You can buy these machines at any home repair center for very little money, it’s the best water, even kidney doctors recommend this water for their patients. This is what we drink at home, most water has lots of toxins in it, so please get this device and filter your water. 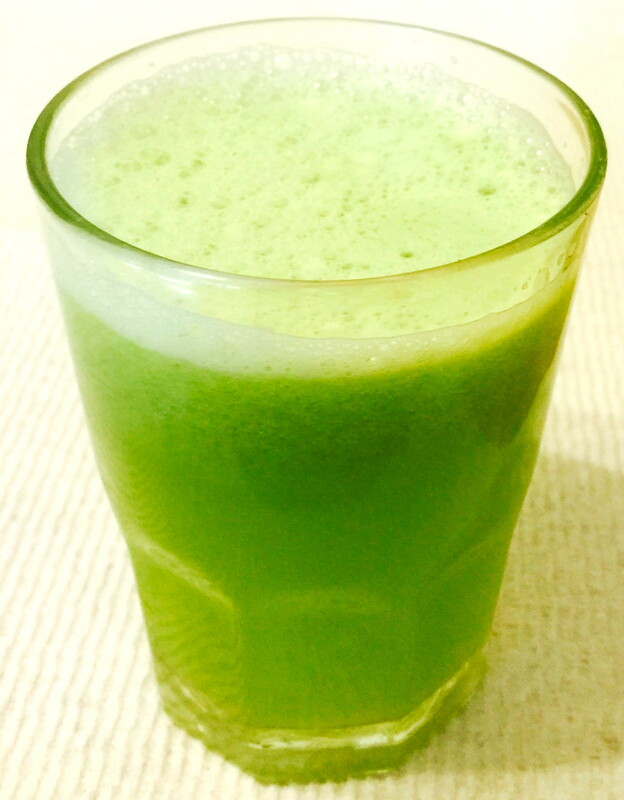 If you have some disease process going on… then I recommend drinking 1 glass of this great juice every hour during the day. Do this for 2 to 3 weeks… and then tapper back to the recommendations above. Eat Raw Food for Long Life – Raw food is full of vital energy and live enzymes. All cooked food loses 100% of all live enzymes and up to 75% of all nutrients. And live raw food also contains packets of photometric light that the plant stores within and this energy brought into the cells of our body–this is science now saying this. There are thousands of people who have healed themselves of cancer, kidney disease, and more with live raw foods. It’s important to eat at least 80 to 90% raw organic food. Circadian Rhythms – Get up at 6 AM – Go to bed at 10 PM. You need to reset your circadian rhythms. You have two little cells that flash on and off every second in every organ of your body and especially your heart. And they know when you should be sleeping and when you should be up and awake. – If you go against this way of living it shortens your lifespan… listen to your body. Meditation – Stress creates inflammation in the body, and inflammation creates disease. So first thing in the morning after going to the bathroom sit down and concentrate on your breathing – breathing in and out, if you find a thought coming into your head, say to yourself “I will get to that later and go back to your breathing”. Do this for 30 Minutes, this gives the mind/body a rest. Even during sleep, your mind is not resting it’s dreaming and working things out. Meditation turns off the mind for a little while, and meditation takes practice and surrender to the process. Even Dr. Dean Ornish recommends Meditation, and Meditation has nothing to do with Religion, it’s about healing. We now know that people who meditate have good genes expressed and bad genes are shut off and not expressed- Wow – Amazing Stuff! Meditate for 30 minutes first thing in the Morning and in the evening for 30 Minutes. – It will do your body good. If you want to sleep well, have more energy, find inner peace, get rid of stress and anxiety, lower your blood pressure, get rid of agitation, help to prevent and heal autoimmune disease, make your brain bigger, be more creative, have better relationships, prevent leaky gut disease, lower inflammation, have a positive effect on your genetic makeup, and enjoy 700 other positive attributes of this process… then it’s very important to learn meditation. I’ve found that many people want to learn meditation, but perhaps they are too far away to learn in person. And some groups charge lots of money to learn meditation. So today I want to teach you meditation for free. Meditation is simple, it’s kind of like learning to ride a bike, at first it seems difficult… but quickly it seems effortless. Watch my video and learn meditation, you can do this… like I said… it’s simple. Even the great Christian monk Thomas Keating believes that meditation is super important…and meditation is taught in all the spiritual teachings around the world. Now we have thousands upon thousands of scientific studies showing that Plant-Based Diets can prevent Heart Attacks and Reverse Heart Disease, Prevent Cardiovascular Disease in General, Prevent Strokes, Prevent Cancer and some studies show it can Reverse Cancer. And Plant-Based Diets can Prevent and Heal Erectile Dysfunction, Lower Blood Pressure to Normal, Lower Cholesterol, Lower Triglycerides, Prevent and Heal Prostate Disease, Help Heal Kidney Disease, End Inflammation, Prevent and Heal Arthritis, and the list goes on and on. What Can You Eat – All Organic Veggies, All Organic Fruits, All Organic Roots, All Organic Greens, All Organic Beans, and a Few Organic Grains. (Grains in Moderation) No wheat, No Spelt, No Rye, No Barley–they are all highly inflammatory… other grains are great. All Organic Fruits – 4 to 6 Fruits Daily – Northern Fruits that grow in colder climates such as apples, oranges, peaches, etc… Especially if you have diabetes … if you don’t have diabetes you can have any fruit from around the world. Some Organic Starchy Roots or Grains – Such as Potatoes, Malanga, Cassava, and other roots… 1 1/2 Cups Daily or 1 1/2 Cups of the Recommended Grains – Either One, But Not Both. One exception is Taro or Yautia root which has a very low glycemic index of 20… you can have lots of taro. If you have diabetes keep this to 1 cup daily — but you can have lots of taro root which has a very low glycemic index. Where Do you get your fat from? – Eat olives, eat nuts – 10 or 12 nuts a day– eat avocados, eat coconut, eat olives, eat corn… thus eat whole fats this way… that is the best way to get good fats… not too much and not too little… balance is the key to everything. Recommended Organic Grains – 1 1/2 Cup Daily or 1 1/2 Cup or Starchy Roots like Potatoes…. Not Both… one or the other. Breakfast – Have breakfast in the morning before 8 AM with 1 and 1/2 cups of fruit – and 1/2 cup of almond milk or nut milk of any kind… and 1/2 cup of raw flattened oatmeal – rolled oats. Good old– old fashioned oats, but don’t cook it – use it raw and use honey or agave nectar or some other good sweetener – no chemicals. Use any kind of fruit you want – papaya, apples, mangos, berries, strawberries, whatever makes your heart sing – all raw, the more different colors you eat the better. A person can also use organic cooked buckwheat, cooked millet, cooked quinoa, cooked sorghum, and other none gluten grains — most of these have to be cooked but we are not consuming much of this for breakfast so it’s OK. Lunch at Noon – Have an organic green salad for lunch, with lots of veggies, all raw. Cooked food is seen by the body as an invader so you want to eat at least 75% raw food – It’s healing. 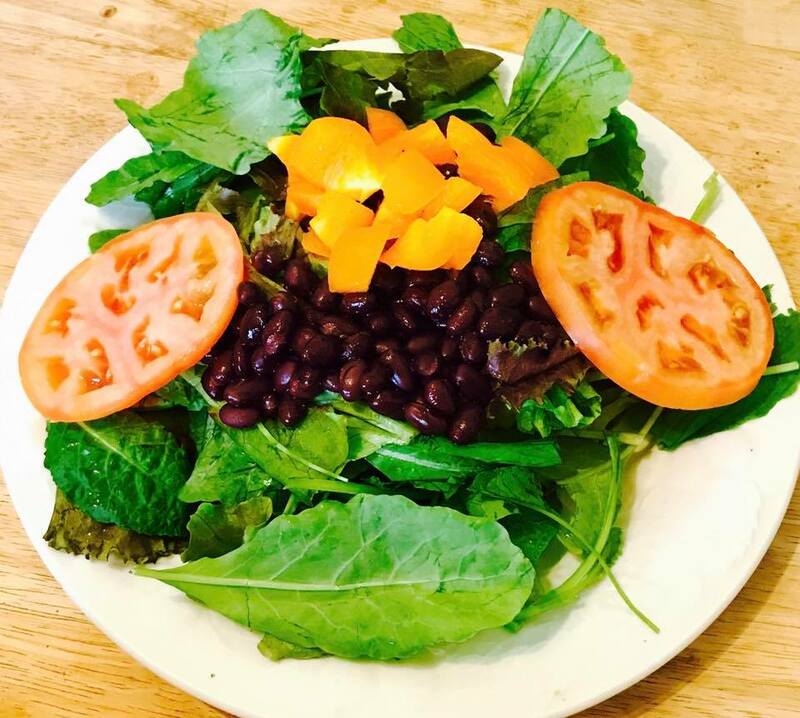 Have lots of different colored foods in your salad such as: red, yellow, green, purple, all the colors of the rainbow in your beautiful salad, it’s healing. Colored veggies are full of antioxidants that are healing. Drink Decaf Green Tea – Drink 3 small cups of green tea a day – it’s full of polyphenols that are super healing. If you are a kidney disease person please do not drink any coffee, tea, or eat chocolate they are terrible on the kidneys. Snacks – In between eat carrot sticks, any other veggie, and fruit of any kind as snacks – eat 4 snacks a day at 10AM, 2PM, 4PM, and 5:45PM. That’s 1/2 cup of any of fruit or veggie. Dinner – Have dinner at 5 or 5:30 PM – Dinner is a soup that you can make at home and it’s very healing. Make a soup of broccoli, cabbage, kale, swiss chard, turnip greens, been greens, and any other green that you like and add spices, no salt or very little salt, and use low sodium veggie stock. Also add 4 cups of beans of your choice, such as pink beans, garbanzos, lentils, all of the beans are great. Don’t use canned foods, cook the beans yourself, canned foods are toxic with lots of chemicals in linings of the cans. You can eat as much of this soup as you like in the evening, within reason, up to 3 or 4 cups. Also, 1 cup of organic brown rice or I cup of organic whole grain gluten free pasta can also be added to the diet – but only one cup per day. 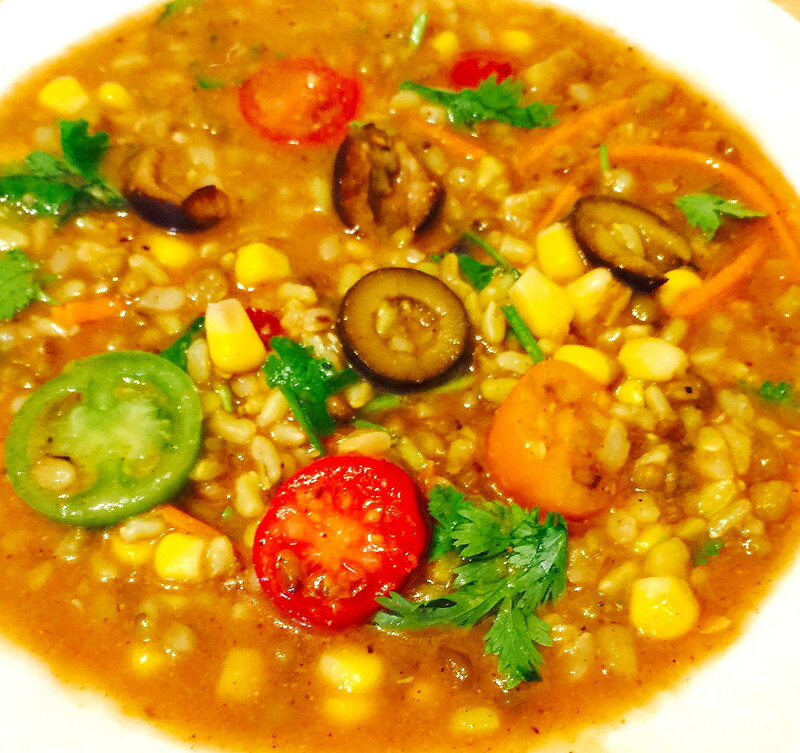 Organic Buckwheat, Quinoa, Brown Rice, Red Rice, Black Rice, Sorghum, Millet, Amaranth, Corn, Teff, and Oatmeal. 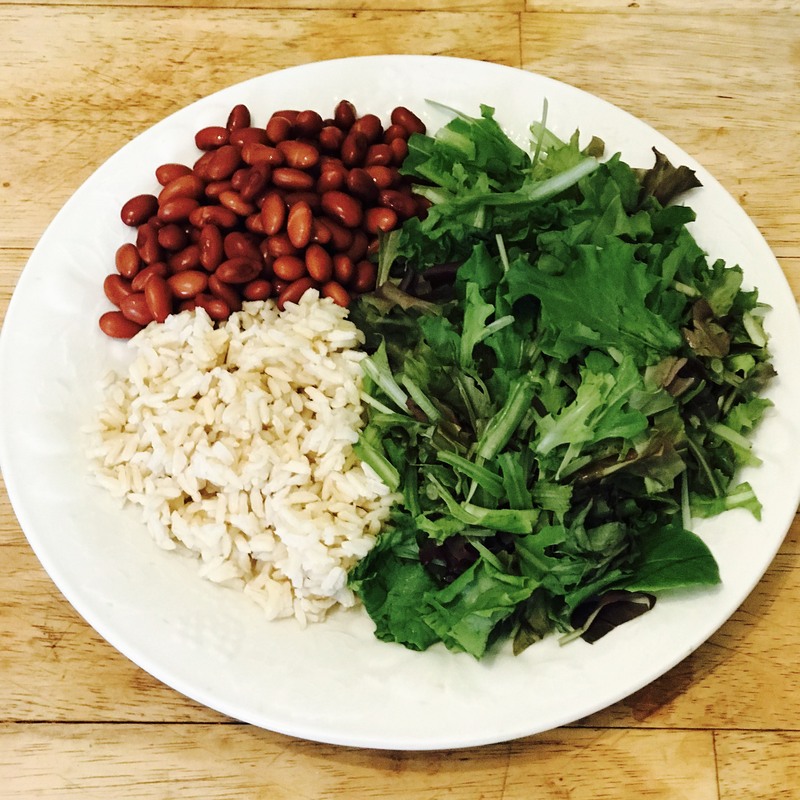 This photo depicts the balance needed – 1/4 Beans, 1/4 Grains and 1/2 Greens of Some Sort… this is a life-giving way of eating. Daily Fasting – Do a Fast of nothing but water from 6 PM to 8 or 9 AM every single day… this allows your GI tract and your immune system to reset and heal and thus keep you healthy. But you can take your vitamins and medications as normal. And it’s important to eat dinner early in order to allow your body to heal itself. **A person can also have other meals with great Whole Foods Plant-Based Recipes – just google “Whole Foods Plant-Based Recipes” and lots of yummy dishes will come up – remember no added fats, no added oils, very little salt, no animal products of any kind and this means no beef, no lamb, no goat, no fish, no seafood, no chicken, no turkey, no milk, no cheese, no yogurt, and no eggs… if it walks, swims, or flies it’s not allowed… and easy on the avocados and olives. Also, no wheat, no spelt, no barley, and no rye they are all highly inflammatory. Beans are Life-Giving Food – I did a study of all the societies around the world that live to be over 100 years old. And the only thing they have in common other than being plant-based agrarian societies is that they all eat lots of beans – so if you want to live a long life – EAT LOTS OF BEANS. Once a Week Treat – If you want something sweet once in a while have some Sorbet. Take frozen bananas and any other kind of fruit and blend them in a powerful blender… and you have a great sorbet. You can add the sweetener of choice if you like, see above. Super Important – Remove – Remove the following from your life. No Animal Products – No beef, no lamb, no chicken, no turkey, no fish, no seafood, no eggs, no cheese, no milk, no vegan or artificially made cheese, no yogurt. No Added Oils – No added oils, no canned foods, no carrageenan–check your nut milk and other foods for this additive it’s toxic, no artificial flavors, no artificial sweeteners, no sugar, no artificial anything, no chemicals of any kind, no fruit juice eat the whole fruit, and if you don’t know what it is… don’t eat it. Add oils surround each cell and prevent insulin from getting in which creates diabetes… not good. Other Things to Remove – No alcohol, no highly spiced food, no fast food, no processed food of any kind… and if in doubt don’t eat it, chemicals are not good for the body. Use Very Little Salt – We do need some salt but very little… cook all food without salt and add salt later if needed. You will get used to eating food without salt and you will come to love the flavor of food without salt. No Wheat – No wheat, no bread, no barley, no spelt, no pulses, no rye – all of these are highly inflammatory. Grains are really not natural, early man did not go around picking little tiny bits of grain he picked fruits, nuts, dug up roots, ate leafy greens, enjoyed all the veggies he could find… this is what we ate for thousands of years. But now we have wheat and other grains that are full of toxic chemicals like glycophytes, and up to 40 different chemicals. Watch the movie “What’s With Wheat” on Netflix and you will understand even more. Grains are not natural and are killing every single cell in our body and creating autoimmune disease– Not Good. Those who eat wheat can have an autoimmune attack that can last up to 6 months–WOW! Grains You Can Eat – Organic Buckwheat, Quinoa, Brown Rice, Red Rice, Black Rice, Sorghum, Millet, Amaranth, Corn, Teff and Oatmeal… and some seeds such as Flax Seeds and Chia Seeds, Pumpkin Seeds, Seeds in General, Watermelon Seeds. Nuts – You can have 10 nuts daily – No More – they are full of fat. No Nut Butters – They are Full of Fat. Very Little Dried Fruit – Dried fruit contains a lot more sugar and you can eat a lot more dried fruit than you can fresh fruit… so keep dried fruit to a minimum. Plus fresh fruit contains live enzymes… thus fresh fruit is always the better choice. No GMO Foods – All of these GMO Foods are highly inflammatory, they cause cancer and more. Lots of studies show that GMO food is toxic. Super Important – Eat Organic – Eat organic – organic foods are not full of toxic compounds that are terrible for the body. One regular potato contains 6 cancer-causing chemicals, 12 hormone-disrupting chemicals and 12 more disease-causing chemicals and some foods have up to 40 or more disease-causing chemicals in them – Not Good – Must Eat Organic! Contract With Organic Farmer – If you google “Buy Direct from Organic Farmer” lots of organic farmers near you will come up that will deliver organic food to your door for less than the cost of regular food in the markets. There is no excuse for not eating organic! Protein – If you want to eat protein then eat Organic Tofu, Beans, Nuts, Seeds, all organic. You only need 5 or 6 % protein and that is exactly what you get on my diet. Watch – Watch the movies “Forks Over Knives” and “Food Matters” – you will find them on the internet and Netflix. Also watch the movie “Fat, Sick, and Nearly Dead” – very good. Also, watch the movies “Beautiful Truth” and “The Gerson Miracle” all of these movies have a lot to say about natural health and healing. Exercise Every Day – walk – work up to 5 miles a day – if it’s hot outside walk in a mall where it’s cool. Or swim – work up to 5 miles swimming, or you could ride a bike or any other exercise that gets your heart pumping fast. You do have the time, you just have to make time and schedule exercise into your life every day. You have to pump some iron if you want to have muscle…Take a look at these two guys who are vegans- Wow!!! High protein intake does not increase muscle mass or improve other health outcomes, according to a study published in JAMA Internal Medicine. Researchers randomized 78 participants aged 65 or older into several intervention groups of high-protein diets, testosterone injections, or recommended daily protein intakes and placebo injections and compared lean body mass, physical prowess, and overall well-being. Those who consumed more protein did not increase muscle mass or improve physical functionality, well-being, or responsiveness to testosterone, compared with those who consumed lower amounts of protein. These data suggest policymakers reevaluate protein intake recommendations based on outdated research. Bhasin S, Apovian CM, Travison TG, et al. Effect of protein intake on lean body mass in functionally limited older men: a randomized clinical trial. JAMA Intern Med. 2018;178:530-541. Have Fun – Get out and have fun, have a life with friends…. that’s important for good mood and mental clarity. Garden – Start planting a garden, you need organic veggies, and working in a garden is very healing and healthy both for the mind and the body, people who garden live longer lives. Community Garden – Start a community garden so everyone in the area can heal… that would be a great project. Work Together With Your Community – Having people we can talk to and rely on is important. And the only way to do that is to get out and create loving friendships that last a lifetime. Being part of a loving community is very healing. Create a Loving Family – I find it interesting, that hundreds of years ago the family was everything… and in some cultures it still is. Creating a loving family is important because we feel nurtured and cared for… and that sends messages to our mind/body and thus we heal. 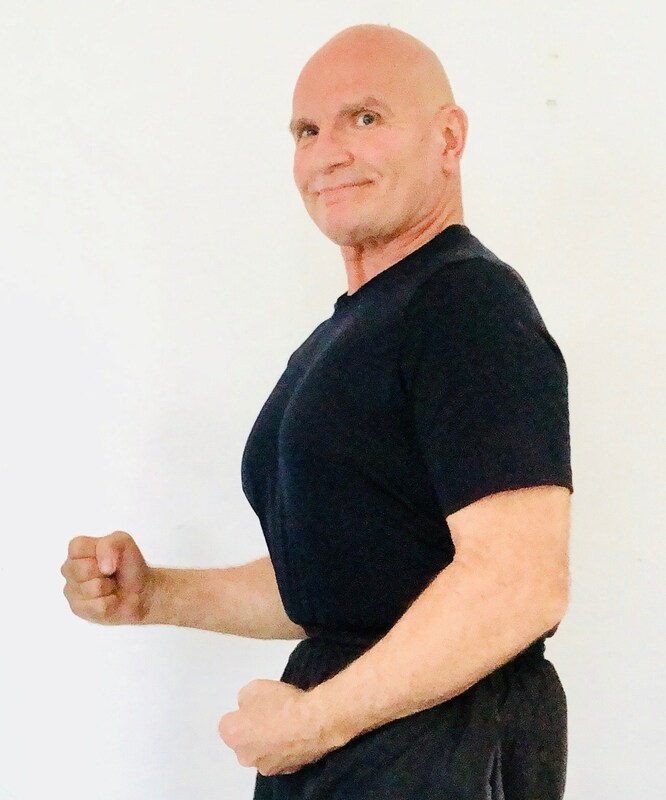 Thinking Positive Thoughts – Think positive thoughts, the mind/body is one, and science has proven this now – it’s a fact.. what you think changes your body. Laugh All the Time – Laughter is very healing and science has proven this too. Forgive, Forgive, Forgive It’s Very Healing – Forgive, forget, and let go… that’s important! If you hold resentments and anger inside it can hurt your body with high blood pressure, cancer, and more… science has proven this too. Have a Spiritual Practice – Those that have a spiritual way of being in the world are happier, more content, feel more at ease and peaceful. This means having a direct relationship with our Higher Power now matter what we call that power. Be it Jesus, or Buddha, or Nature, or anything else… that spiritual aspect of being alive is vitally important for great health and well being. And this has been studied in thousands of scientific studies. 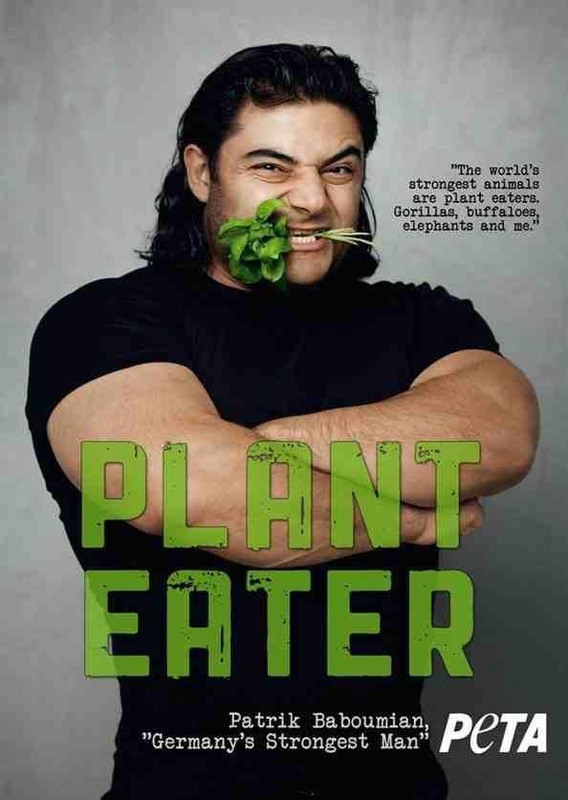 Also watch the movies “PlantPure Nation”, “Forks Over Knives”, “Beautiful Truth”, and “The Gerson Miracle”, “What’s With Wheat” — they are all very powerful and uplifting movies about plant-based diets. This is a Life Time Diet – This is a diet for your whole life, this is not a diet that a person goes on for a few weeks. As soon as a person goes off of this diet all the diseases will come back… this has been proven in many scientific studies. Here I am today – Still feeling fantastic!!! And if you have questions feel free to contact me. My cell phone is (831) 869-9119 and I go to bed early so call early – I still have my CA number after being in Puerto Rico 17 years. My email address is drpaulhaider@gmail.com – email is the best way to contact me… and I will answer right away. Also, my Skype address is drpaulhaider – send me an invite so we can talk some time. And my direct email is drpaulhaider@gmail.com – Feel free to email me. Thank you, Dr. Haider, I’m already on board with the whole food plant-based lifestyle for almost 6 years now. 100% vegan. It’s clearly the only way of life for me. It’s simultaneously reversed and cured all of my health problems drug-free. I also eat lots of beans, greens, and all steamed vegetables, and all fruits. And I asked – Could I use your comment to inspire others and he replied. Of course, you can Dr. Haider! I can attest everything you say is correct, I’ve achieved the highest levels of physical fitness since switching to this lifestyle. I have an abundance of energy, I can run like the wind for countless miles, do so much exercise with so much intensity, and have built an amazing physique. You’ll never need to worry about your weight on the whole foods plant-based (vegan) lifestyle. Your body will return to its natural size and shape. All of your health problems will simultaneously be washed away effortlessly. You won’t need any more medication, your food is your medicine, and it all taste’s amazing! Your body will go through an amazing healing and regenerative process. All the while helping to protect the environment and bettering the well being of the animals. People, please believe what Dr. Haider is promoting here. He has no ulterior motives, this is some of the most powerful information he’s spreading. You owe it to yourself to give this lifestyle a chance, it’s a way to show unconditional love to one’s self, and your body only deserves the best! Eating this way is doing miracles for my health and how I feel. Within a week I no longer need 4 pills every day for diabetes and high blood pressure. I feel great instead of having pain all the time from various health issues. Thank you so much, Dr. Haider, for your great kindness and counsel. I have some ginseng plants in my garden but I had a history of hypertensive urgency. After 4 months of eating plant-based foods, I had 120/80 in my last bp. Now, based on your advice, I have to set aside the idea of taking ginseng extract and to maintain fruits and vegetables. Thanks again. Thanks and Glory to the LORD GOD Almighty for His moral law and dietary law in Genesis 1:29 which teaches of fruits and vegetables as the meat for mankind in conjunction with His dietary law in the time of prophet Moses. Dr. Paul Haider – Master Herbalist and Spiritual Teacher for over 30 years, helping people to recover and feel healthy. You can also find Dr. Haider on FB under Dr. Paul Haider and at www.paulhaider.com – feel free to contact him anytime. Choline, a nutrient found in meat and fish, may increase the risk for heart disease, according to a study published in Circulation. Eight participants who followed a vegetarian or vegan diet and 10 participants who followed an omnivorous diet took choline supplements for two months. Blood work from both groups showed elevated levels of trimethylamine N-oxide (TMAO) and increased platelet activation, both results associated with blood clotting. The participants who followed a vegan or vegetarian diet had lower levels of choline at the start, suggesting a diet with lower levels of nutrients linked to increased TMAO levels may provide a preventive effect. Zhu W, Wang Z, Tang WHW, Hazen SL. Gut microbe-generated trimethylamine N-oxide from dietary choline is prothrombotic in subjects. Circulation. 2017;135:1671-1673. A plant-based diet improves secretion of incretin hormones and insulin in those with type 2 diabetes, according to research published in Nutrients. Researchers compared two energy-matched vegan and non-vegan meals to track improvement in glucose response, a mechanism in developing diabetes, and beta-cell function in a randomized crossover trial. Secretion of insulin, C-peptide, and amylin increased more after the vegan meal than the standard meal. Beta-cell function parameters also improved after the vegan meal. The results suggest clinical applications of vegan diets for improvement of beta-cell function and diabetes treatment. Kahleova H, Tura A, Klementova M, et al. A plant-based meal stimulates incretin and insulin secretion more than an energy- and macronutrient-matched standard meal in type 2 diabetes: a randomized crossover study. Nutrients. 2019;11:486-497. A vegan diet works better than the American Heart Association-recommended diet for heart disease prevention, according to a study published by the American Heart Association (AHA). Researchers randomized 100 participants with coronary artery disease to either a vegan diet (no meat, poultry, eggs, dairy, or fish) or an AHA-recommended diet (fewer servings of non-fish animal protein, more servings of fish, and only low- or no-fat dairy) for eight weeks. The primary endpoint marker for inflammation, high-sensitivity C-reactive protein, improved significantly more in the vegan group, compared with the AHA group. The authors conclude a vegan diet should be considered to help avoid adverse outcomes among heart disease patients. Red and processed meat products increase the risk for breast cancer, according to a systematic review published in the International Journal of Cancer. Researchers looked at 18 studies and evaluated the relationship between breast cancer rates and intake of red and processed meat. Results showed increased risks for breast cancer with increased consumption of red meat and processed meat by 6 percent and 9 percent, respectively. Researchers attribute the increased risk to high amounts of saturated fat, cholesterol, and heme iron found in these products. Farvid MS, Stern MC, Norat T, et al. Consumption of red and processed meat and breast cancer incidence: a systematic review and meta-analysis of prospective studies. Int J Cancer. Published online September 5, 2018. A plant-based diet lowers risk for type 2 diabetes, according to a study published in PLoS Medicine. Researchers followed more than 200,000 participants from the Nurse’s Health Study 1 and 2 and the Health Professionals Follow-Up Study and assessed their diets and type 2 diabetes incidence rates. Those who consumed the most plant-based foods, including whole grains, fruits, vegetables, and legumes, lowered their risk for type 2 diabetes when compared to those who consumed animal products such as dairy, eggs, and meat. Researchers attribute the protective effect of this diet to increased fiber intake, antioxidants, and reduced saturated fat intake. Satija A, Bhupathiraju SN, Rimm EB, et al. Plant-based dietary patterns and incidence of type 2 diabetes in US men and women: results from three prospective cohort studies. PLoS Med. 2016;13:e1002039. Vegetarian, especially vegan, diets reduce cholesterol levels, according to a review and meta-analysis authored by Physician Committee researchers and published in Nutrition Reviews. Researchers reviewed 49 observational and intervention studies that compared vegetarian and vegan diets with omnivorous diets and their effects on plasma lipids. Vegetarian diets lowered total cholesterol levels as well as LDL and HDL levels when compared to omnivorous diets. The greatest benefit on lipid levels was seen in those who followed vegan diets. Plant-based diets typically reduce body weight and saturated fat intake, which may benefit cholesterol management. These findings support previous associations of decreased cholesterol levels and vegetarian, especially vegan, diets. Yokoyama Y, Levin SM, Barnard ND. Association between plant-based diets and plasma lipids: a systematic review and meta-analysis. Nutr Rev. Published online August 21, 2017. A vegan diet demonstrates the ability to prevent and treat heart failure, according to a case study and short literature review in the Journal of Geriatric Cardiology. In a new special issue of the journal entitled “A Plant-Based Diet and Cardiovascular Disease,” researchers describe a case study where a 79-year-old man with heart disease refused the commonly recommended bypass and valve replacement surgery and opted to adopt a whole-foods, plant-based diet instead. After two months, his heart failure symptoms had improved; his weight fell into a healthy range; his total cholesterol, LDL, and triglycerides fell from 201 to 137 mg/dL, 105 to 67 mg/dL, and 112 to 96 mg/dL, respectively. The authors further explore the body of evidence showing such diets are beneficial for heart disease patients. Choi EY, Allen K, McDonnough M, Massera D, Ostfeld RJ. A plant-based diet and heart failure: case report and literature review. J Geriatr Cardiol. 2017;14:375-378. People who consume animal-based, low-carbohydrate diets have a shorter life expectancy, compared with those who consume more plant-based sources of protein or fat and compared with those who consume more carbohydrates, according to a new study published in The Lancet. Researchers combined data from the U.S.-based Atherosclerosis Risk in Communities (ARIC) study and seven other multinational prospective studies and found that consuming less than 40 percent or greater than 70 percent of one’s calories from carbohydrate was associated with a higher risk for dying, compared with consuming between 50 and 55 percent of calories from carbohydrate. However, when carbohydrate sources were exchanged for animal-based protein or fat sources (chicken, beef, lamb, pork), the risk for death increased by 18 percent, compared with an 18 percent decreased risk for death when those substitutions were plant-based (nuts, whole-grain bread, and vegetables). Seidelmann SB, Claggett B, Cheng S, et al. Dietary carbohydrate intake and mortality: a prospective cohort study and meta-analysis. Lancet. Published online August 16, 2018. Diets high in animal protein increase the risk for fatty liver disease among people who are overweight, according to new research published in Gut. Researchers compared intake of fiber, protein, and other macronutrients with liver disease incidence rates via ultrasounds in 3,882 participants from the Rotterdam Study. Results showed a 36 percent higher risk for fatty liver disease for those who consumed the most animal protein, compared with those who consumed the least. 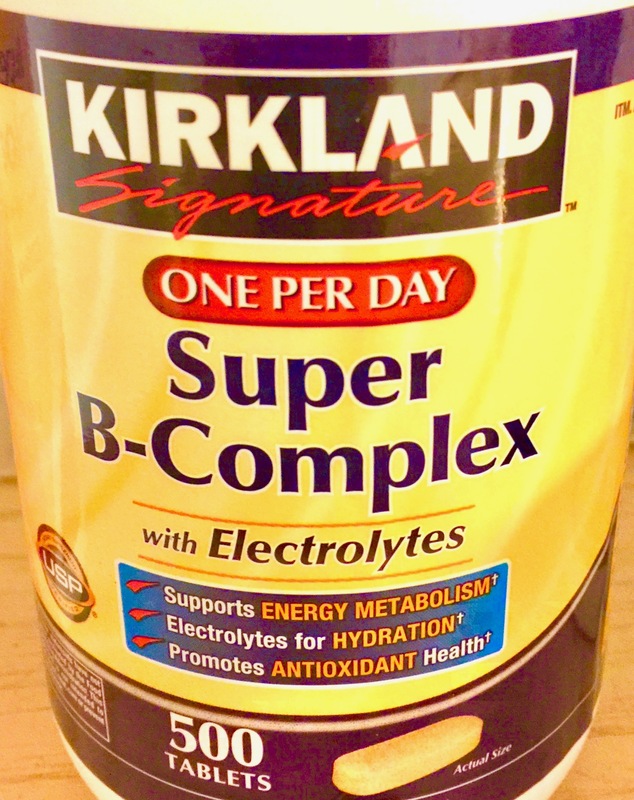 The results showed no negative associations between carbohydrate consumption and liver disease. Suspected mechanisms behind the increased risk include nitrates, nitrites, and heme iron due to their influence on insulin resistance, endothelial function, and oxidative stress. The authors suggest preventive dietary recommendations shift focus toward protein in place of fat and carbohydrates. Alferink LJM, Kiefte-de Jong JC, Erler NS, et al. Association of dietary macronutrient composition and non-alcoholic fatty liver disease in an ageing population: the Rotterdam Study. Gut. Published online July 31, 2018. Meat consumption is associated with risk for developing type 2 diabetes, according to a new study published in the American Journal of Epidemiology. Researchers followed the diets and disease risk of 63,257 participants from the Singapore Chinese Health Study and found that those who consumed the most red meat (e.g., pork, beef, lamb), poultry, and fish had an increased risk for type 2 diabetes by 23, 15, and 7 percent, respectively, compared with those who consumed the least. In a separate analysis, the authors found that as heme iron increased, so did the risk for diabetes. Other studies have published similar findings, including the Adventist Health Study-2, which showed that as more animal products, such as red meat and fish, are included in the diet, increase for diabetes risk follows. Talaei M, Wang Y, Yuan J, Pan A, Koh W. Meat, dietary heme Iron, and risk of type 2 diabetes mellitus: the Singapore Chinese Health Study. Am J Epid. Published online August 22, 2017. Available at: https://doi.org/10.1093/aje/kwx156. Accessed September 14, 2017. Tonstad S, Butler T, Yan R, Fraser GE. Type of vegetarian diet, body weight and prevalence of type 2 diabetes. Diabetes Care. 2009;32:791-796. Vegetarian diets reduce inflammation, according to a review published in Public Health Nutrition. Researchers reviewed 18 prior studies, finding that individuals who followed a vegetarian diet for at least two years lowered their serum levels of C-reactive protein, a biomarker of inflammation, compared with those who did not follow a vegetarian diet. Researchers suspect the credit goes to phytosterols and dietary fiber found in the fruits, vegetables, whole grains, and legumes. Haghighatdoost F, Bellissimo N, de Zepetnek JOT, Rouhani MH. Association of the vegetarian diet with inflammatory biomarkers: a systematic review and meta-analysis of observational studies. Public Health Nutr. 2017;1-9. A vegan diet may offer a performance advantage to endurance athletes, according to a review published in the journal Nutrients. In response to the increased use of vegan diets by professional athletes, researchers highlighted some of the benefits of plant-based eating that may explain the athletic edge, including leaner body mass, reduced blood viscosity, reduced oxidative stress, and reduced inflammation. Barnard ND, Goldman DM, Loomis JF, et al. Plant-based diets for cardiovascular safety and performance in endurance sports. Nutrients. Published online January 10, 2019. Trimethylamine N-oxide (TMAO), a molecule produced during digestion of red meat, eggs, and dairy products, increases the risk for a fatal heart attack or stroke, according to a study published in European Heart Journal. Researchers monitored TMAO levels for 530 participants and tracked the number of cardiac events. Those with elevated TMAO levels increased their risk for heart attacks or strokes and increased their risk of death from these events. Researchers suggest dietary interventions may mitigate these risks by reducing TMAO levels. Li XS, Obeid S, Klingenberg R, et al. Gut microbiota-dependent trimethylamine N-oxide in acute coronary syndromes: a prognostic marker for incident cardiovascular events beyond traditional risk factors. Eur Heart J. Published online January 11, 2017. Diet may be the most important risk factor for Alzheimer’s disease risk, according to research published in the Journal of the American College of Nutrition. The author used dietary data from 10 countries and several other studies on diet and Alzheimer’s disease and assessed disease risk for several dietary factors. Consumption of meat increased disease risk the most, followed by eggs and high-fat dairy, while high intakes of fruits, vegetables, and grains reduced the risk for Alzheimer’s disease. Possible mechanisms include increased intakes of metal ions, such as copper, and saturated fat, both prevalent in meat. Grant WB. Using multi-country ecological and observational studies to determine dietary risk factors for Alzheimer’s disease. J Am Coll Nutr. Published online July 25, 2016. Replacing animal fats with plant-based foods decreases your risk for heart disease, according to a study published online in the American Journal of Clinical Nutrition. Researchers followed 222,234 participants from the Health Professionals Follow-Up Study and the Nurses’ Health Study I and II and monitored dietary fat intake and cardiovascular disease incidence rates. The results showed that replacing 5 percent of dairy fat with an equal amount of vegetable and polyunsaturated fats decreased heart disease risk by 10 percent and 24 percent, respectively. Researchers also observed a 28, 34, and 16 percent lowered risk for cardiovascular disease, coronary heart disease, and stroke, respectively, when participants replaced dairy fat with whole grains. High fruit and vegetable intake will not counterbalance the increased risk for heart disease caused by eating meat, according to a study published in the American Journal of Clinical Nutrition. Researchers followed 74,645 participants from the Swedish Mammography Cohort and the Cohort of Swedish Men studies and monitored diet and mortality due to heart disease. Those who consumed the highest amounts of red meat increased their risk of dying from heart disease by 29 percent when compared to those who consumed the least. The risks remained consistent when coupled with various fruit and vegetable intakes. High fruit and vegetable intake could not prevent meat-related deaths. Bellavia A, Stilling F, Wolk A. High red meat intake and all-cause cardiovascular and cancer mortality: is the risk modified by fruit and vegetable intake? Am J Clin Nutr. Published online August 24, 2016. Red and processed meats increase the risk for heart disease, cancer, and other chronic illnesses, according to a review published in the Journal of Internal Medicine. Researchers examined the correlation between disease risk and meat consumption in six cohort studies. Consumption of 100 grams of red meat per day increased the risk for stroke and for breast cancer, death from heart disease, colorectal cancer, and advanced prostate cancer by 11, 15, 17, and 19 percent, respectively. At 50 grams per day, processed meats increased the risk for several chronic diseases including colorectal cancer, pancreatic cancer, death from heart disease, and diabetes by 18, 19, 24, and 32, respectively. Possible mechanisms include high levels of heme iron, cholesterol, saturated fatty acids, nitrates and nitrites, and sodium found in red and processed meat products. Researchers suggest policies mirror several European initiatives to curb the environmental and human health hazards of rising global meat intake through revised dietary guidelines. Wolk A. Potential health hazards of eating red meat. J Intern Med. Published online September 6, 2016. Vegetarian and vegan diets are healthful, may prevent and treat chronic diseases, and are better for the environment, according to the Academy of Nutrition and Dietetics, the world’s largest organization of nutrition professionals. Researchers updated the 2009 position paper on vegetarian diets and concluded that not only are vegetarian and vegan diets appropriate for all stages of the life cycle (pregnancy, infancy, childhood, etc. ), but they also help reduce the risk for heart disease, high blood pressure, type 2 diabetes, stroke, obesity, and some types of cancer. The updated position paper presents a section on environmental issues which concludes plant-based diets are more sustainable and less damaging to the environment. Melina V, Craig W, Levin S. Position of the Academy of Nutrition and Dietetics: vegetarian diets. J Acad Nutr Diet. 2016;116:1970-1980. A meta-analysis published in the American Journal of Clinical Nutrition found that total dairy product, total milk, low-fat milk, cheese, and dietary calcium intakes were associated with an increased risk for prostate cancer. According to a study published in the International Journal of Cancer, men who consumed three or more servings of dairy products a day had a 141 percent higher risk of death due to prostate cancer compared to those who consumed less than one serving. Both high- and low-fat dairy products were associated with increased mortality. A Harvard study found that men diagnosed with prostate cancer who ate the most eggs had a two-fold increased risk of cancer progression. A plant-based diet can protect against prostate cancer. In a recent study, researchers compared several dietary patterns and cancer incidence rates for 26,346 participants. Men who followed a vegan diet experienced a 35 percent lower prostate cancer risk than those following a nonvegetarian, lacto-ovo-vegetarian, pescovegetarian, or semi-vegetarian diet. Lycopene, part of the carotenoid family, is a pigment that helps give red fruits and vegetables their color and it’s also one of the free radical-fighting antioxidants. In the Health Professionals Follow-up Study, the authors concluded that consumption of tomato-based foods may be linked to a reduced risk of prostate cancer. Red meat increases your risk for kidney failure, according to a study published online in the Journal of the American Society of Nephrology. Researchers assessed data from 63,257 participants as part of the Singapore Chinese Health Study and tracked diet and kidney failure. Those who consumed the most protein from red meat increased their risk for end-stage kidney disease. Results showed that replacing a single serving of red meat with another source of protein, such as soy products or legumes, cut the risk for disease by over 60 percent. These findings support previous research that suggests diets high in processed meats increase the risk of disease and mortality. Lew QLJ, Jafar TH, Koh HWL, et al. Red meat intake and risk of ESRD. J Am Soc Nephrol. Published online July 14, 2016. We have thousands of studies showing that animal protein of any kind including red meat, beef, lamb, chicken, turkey, fish, seafood, milk, cheese, eggs, and anything else causes disease and death!!! 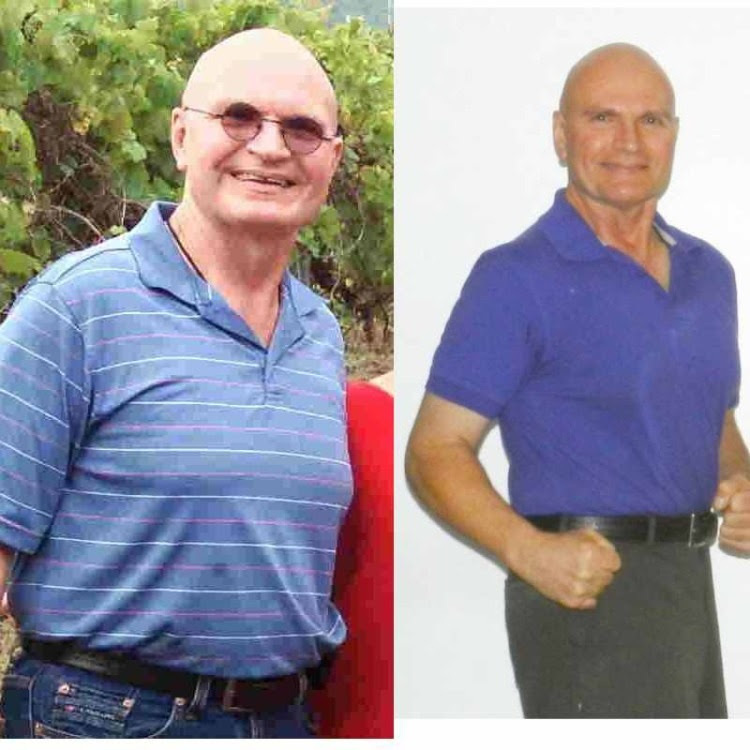 Article – My Aging Parents Shocking Health Improvements Through Food – Great!!! This entry was posted in Healing Herbs and tagged blood sugar levels, boosting your immune system, diet, Dr. Paul Haider, Feel Good, feel great, food, Heal, Heal Disease, health food store, healthy-living, Herbs, HH, inflammatory agent, Lifestyle, local health food store, Look Good, lose weight, love life, lower blood pressure, Master Herbalist, Meditation, mental-health, Natural, nature, no arthritis, no kidney disease, no pills, plants, vegan, vegetarian. Bookmark the permalink. Hi Paul its Harold, dr. Riera moved tos Florida after 14 Hrs in the clinica so nos is when iam looking into your lifestyle in my heart i know this is what i nerd . Tonight iam invited to pasta dinner god help me. Ja ja. Here is the editor and chief of one of the most prestigious peer reviewed medical journals around saying that 1/2 of all the scientific medical research is false – Wow! Hello Dr Paul- Vonn here I’m suffering from 2 huge Fibroid Tumors and some small Fibroid tumors. And of course my OBGYN wanted to take my Uterus out but GOD cancelled my Surgery which would have been on Nov 6th 2015 Literally!!! I don’t have any children as of yet and yes I want them bad! I know of a lot of women that has had huge fibroid s and was completely healed and the fibroid s tumors disappeared naturally. What type of estrogen FREE diet and or foods could you suggest for me to eat please HELP!!!! Should I take Sour Soup Leaves I’m sure that will help shrink the tumors?? Also hypnosis is very good for shrinking fibroids. Find a good hypnotherapist near you. And see the article on balancing hormones. And learning to meditate is very important – new studies show that meditation can turn on good genes and turn off bad genes. Take a FREE 10 Day Vipassana Meditation Retreat – they are give all over the world and even the food and lodging is FREE. See link to find one near you – it will change your life forever. Sending light, love, and healing prayers your way. thanks doctor it is amazing information, some people are spreading wrong information regarding chiraita. I know fish is high in Omega 3 and other sea foods like shrimp and octopus are good and have very low cholesterol levels. Why have you ruled them out as bad in this article? Because All Animal protein causes acid in the body and that acid causes inflammation and that inflammation causes disease – Cancer, Strokes, arthritis, diabetes and more. And we have thousands of scientific articles showing this to be true. We have an alkaline based system – dogs, cats, lines, bears and all meat eaters have an acid based system – doesn’t work for us. Watch the Movies “Beautiful Truth” and “The Gerson Miracle” on-line – you can find it free to watch if you google them. We have the answer to preventing and healing almost all diseases by giving up all animal protein including milk, cheese, seafood, fish, lamb, chicken, turkey, beef, and all other forms of animal protein. And I have had thousands of people healed on this diet – it really works!!! Thank you so much Doc for your great kindness and counsel. First of all, you more than likely have diabetes that is causing your nerve pain… see my diet which will turn this around. On my diet you will become extremely healthy – but you will have to follow my diet exactly and for the rest of your life. Dr Haider I am confused. You call this a raw food diet but you suggest a soup for dinner. Soups have to be cooked. You also say to eat many beans. I have eaten raw green beans, but I have to cook my pintos. Can you straighten me on this? Thank you in advance. PS. I hope you have survived the hurricane and are doing well. Thanks for your video about the All In One herbal supplement you discused in the video. Please tell me the name of the supplement and where to buy it from. Your help is sincerely appreciated. Can regular use of neem help eliminate HSV2. I have heard a lot of good about neem. No, it will not my friend… the best thing is to boost up your immuene system by going on my diet and staying on it for the rest of your life. Sir, this is a great and insightful article. I would like to know if there are specific foods and herbs that can shrink large fibroids natureally. 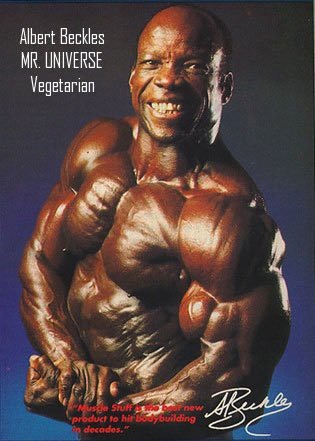 I live in Nigeria and it would be great to know if there are locally sourced herbs or foods that can help shrink fribroids or completely eliminate them. Thank you. 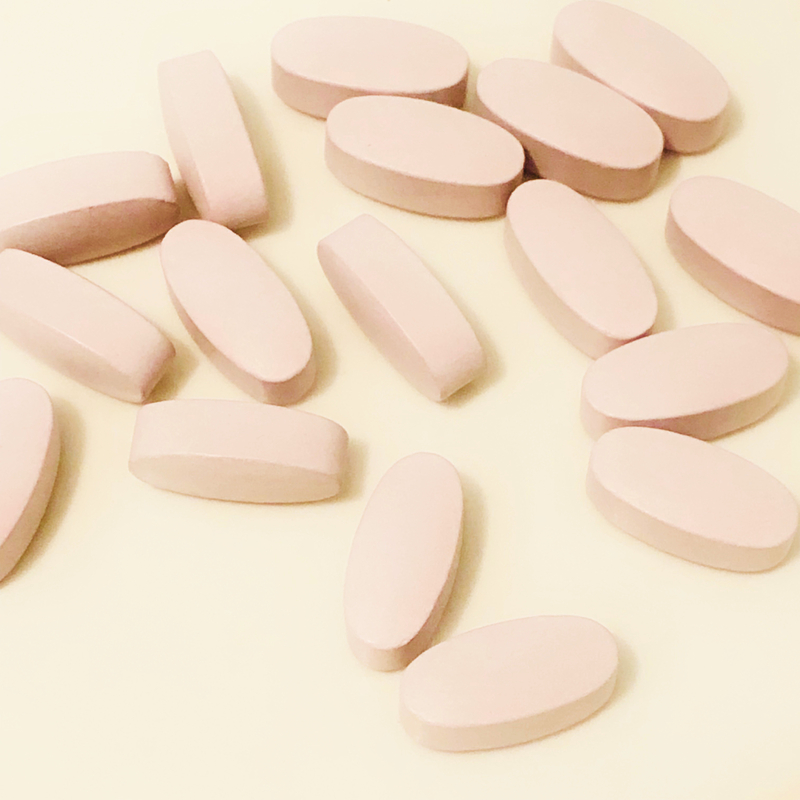 Take Nattokinase – it is a powerful healing agent for fibroids – take doctors best brand you can find it on Amazon.com and take as directed on the bottle. 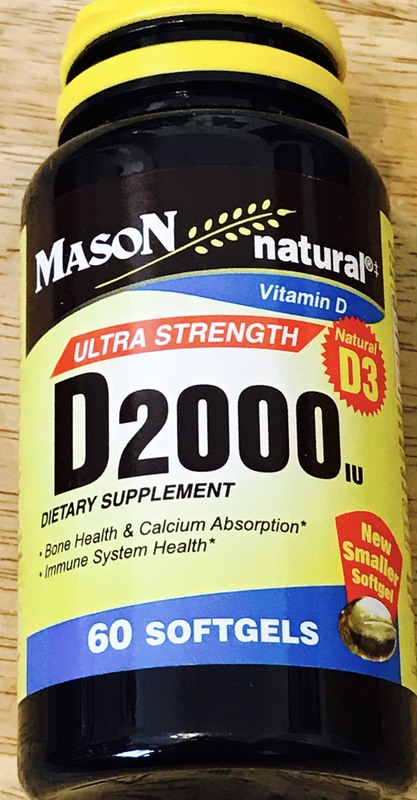 Take one bottle 3 or 4 times a year. ***Also Hypnosis is very good for shrinking fibroids. ***Find a good hypnotherapist near you. ***And see the article on balancing hormones. We now know with the study of esigencies that meditation turns on good genes and turns off bad genes. These retreats are put on by people who have taken the retreats in the past and know how powerful they are. About the 5th day people have amazing breakthroughs that change their life forever. ***You will walk out a totally different person after this retreat – I promise. And don’t put yourself on a waiting list people always go to this retreat. — sign up for the next available retreat. Something like Jesus, Buddha, Krishna, or something else – something other than just the word God. The name of God is powerful.— all will be well. Here is the Link for Dr. Nemeh – he is amazing – prays for you in person and people are healed. Thank you very much, but please I really need help right now, I live in Nigeria and I’m suffering from hyperthyroidism and thyroid nodules with severe weight loss, what do I do, I want to gain back my health and my weight. I was depressed in my 20’s and then I learned meditation and have felt great ever since. A while back, a wonderful young lady by the name of Denise E. contact me, I have Denise’s permission to use her name here. Denise came to me with terrible thyroid disease to the point that she almost died, she had very bad digestive issues, and she was not feeling good.